Can scoring depth be found on UFA market? With free agency nearly a week old, the Sabres are still in a position of need when it comes to filling holes left after last season. Darcy Regier has been quiet in the early going of the free agency period, acquiring more grit and toughness for the Sabres’ bottom six. His only NHL signing has been one for the fringe ($600K for John Scott) and he did make a fairly significant trade when he sent Derek Roy to Dallas in exchange for Steve Ott and Adam Pardy. 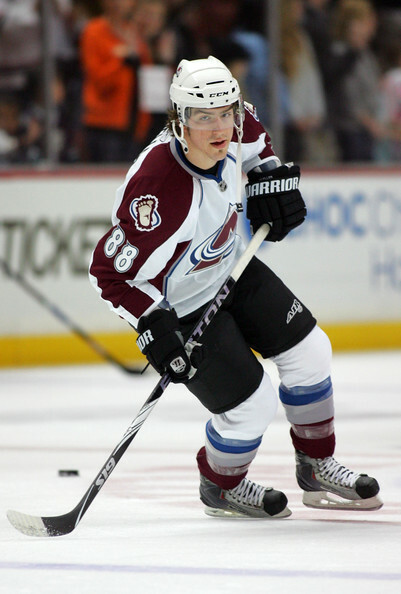 Peter Mueller is one of the few right wingers on the open market that could help the Sabres. Since the Sabres have nine defensemen under contract – ten if you’re counting T.J. Brennan and Brayden McNabb – and a glaring need for additional offensive depth, preferably at center. The trade market is where Regier is hoping to patch the rest of the holes in his ship, but it seems as if a stagnant free agent market is now slowing the trade market. Buffalo has been tied to just about any player rumored to be on the block since the Stanley Cup Final. Whether it be Bobby Ryan or Jordan Staal, people have easily drawn conclusions between the Sabres, their need for talent up front and the current trade market. However, the only trade that has been made so far was a balanced hockey trade that brought the Sabres more pugnacity. Yet, they remain very much in the market for help in the goal scoring department and at center. The two needs may or may not be mutually exclusive. The Sabres are currently in a situation where they may have an 18-year old rookie (Mikhail Grigorenko) and two 22-year olds (Tyler Ennis and Cody Hodgson) on their opening night roster. Grigorenko’s status is still up in the air, but the other two are sure locks. Behind them lies a pair of empty spots on the depth chart. Filling those spots is becoming increasingly difficult. However, there are a few names on the open market who could potentially end up with a contract in Buffalo for next season. As for finding scoring depth, the free agent market for centers is rather devoid of that trait. However, there are plenty of wingers available who can give the Sabres some additional scoring depth on wing. If my previous idea of flipping Thomas Vanek to right wing doesn’t fly, which is more than likely, the Sabres will probably want to snag a right winger to settle in behind Jason Pominville and Drew Stafford on the depth chart. The reason I see a need to grab another winger who can score is simply because Corey Tropp and Pat Kaleta are the only two right wingers under contract capable of entering the lineup next season. It is certainly possible that Ville Leino or Nathan Gerbe could shift to the left side, but they likely have been penciled in for positions on the left side. I’d like to entertain the idea of Tropp in a slightly expanded role from the limited fourth line minutes he saw in his 34 games in 2011-12. Tropp certainly has the potential to be an effective two-way third line player. Cultivating his offensive game is the key and I’m not sure that side of his development has peaked yet. 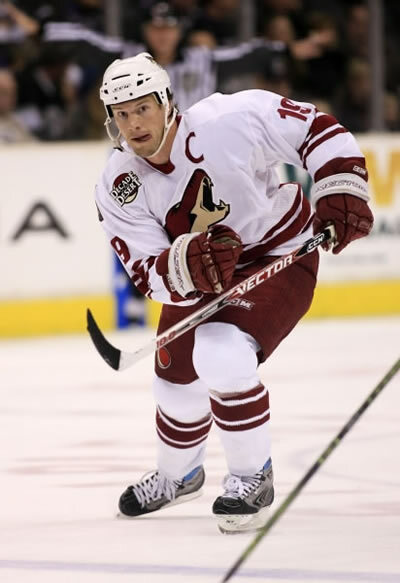 Should Shane Doan opt to leave Phoenix, the Sabres would be wise to pitch him an offer. As for the free agent market, there are more than a few household names that Sabres fans are likely salivating over. Shane Doan isn’t likely to come east, no matter how bad every Sabres fan would want him. His final decision will be made early next week, but I’m not holding my breath. Despite having a bad case of scrambled eggs, Peter Mueller would be a low-cost option who could be good for somewhere near 15-20 goals. What makes me like Mueller is the fact that he can be had for a low price and stashed in Rochester if his injury worries become a problem. Mueller made $2M last season and I would doubt he gets much more than that this summer. Jamie Langenbrunner would be the only other free agent I would consider based on who remains on the open market. Langenbrunner has that Drury quality the Sabres have been looking for since the summer of 2007. He isn’t going to do much offensively, but he is certainly a good depth option on the right side with the ability to lend leadership to Buffalo’s youth. Outside of that trio, there isn’t much worthy of chasing in terms of free agents. That is an unfortunate fact because the trade market seems to be bloated with demand and low on supply. The Sabres have more than enough pieces to manufacture a trade, I just wonder if it is more logical to try and utilize the free agent market. If a winger like Mueller can be signed for a year or two while some of Buffalo’s prospects come along, he would serve as an adequate stop gap. Comparing that strategy to surrendering a king’s ransom for a player like Ryan, Rick Nash or anyone else on the market might make more sense for the Sabres’ long-term success. I’d like to see the Sabres get Kyle Wellwood. The only thing I don’t like about him is that he is pretty average in size. I think his skillset would fit well with what they’re looking for.